The Common Council is the legislative authority of the city. It has the power to adopt all ordinances, resolutions, or other legislation conducive to the welfare of the people of the City of Racine. The Council is made up of fifteen members, elected on staggered terms with the even numbered members up for election in April every other year ending in an even number. Every odd numbered member is up for election on the odd ending year. The Common Council typically meets on the first and third Tuesdays of every month unless otherwise noted. 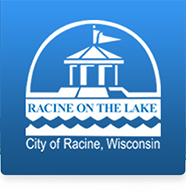 Meetings are held in the Common Council Chambers room 205 of City Hall 730 Washington Ave. Racine, WI. All meetings are held at 7 p.m., unless otherwise noted in the agenda. All meetings are open to the public, with a public comment section designated at the beginning of every meeting. The public is welcome to speak on any topic. For three minutes and asked to refrain from profane remarks, disruptive outbursts or other conduct that interferes with the orderly conduct of the meeting.